BERLIN (AP) — Germany's president is calling on his compatriots to embrace an enlightened, "democratic patriotism" and reject aggressive nationalism that romanticizes the country's history. 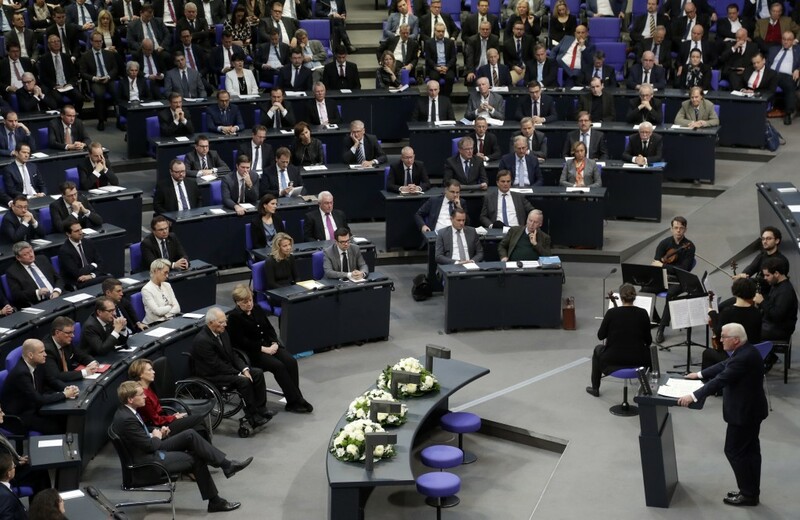 President Frank-Walter Steinmeier said Friday that acknowledging and remembering Germany's dark Nazi past should be considered a strength, not a weakness. Steinmeier's remarks came in a speech to Parliament marking the 100th anniversary of the proclamation of a German republic after World War I. The Nov. 9 ceremony also commemorates the 1938 Nazi pogrom against Jews, known as the "Night of Broken Glass," and the 1989 fall of the Berlin Wall widely seen as ending the Cold War. In a swipe at the far-right Alternative for Germany party, Steinmeier urged Germans to reject those who seek to exclude minorities.